The Paralegal Careers blog features articles about career and educational paths within the Paralegal industry. If you are looking for career direction or simply want to learn more about Paralegal careers, our paralegal articles are the perfect source of information. You will find relevant information about careers and educational paths in the Paralegal field that will help you determine if a Paralegal career is right for you. If you are serious about a career in the legal field be sure to start by filling out the form on our Paralegal degree page to schedule a free one-on-one mentoring session. Just as there are many types of attorneys, so too are there many types of paralegal jobs. As in any career, some jobs pay more than others. As a professional, you will likely want to to know the highest paralegal salary. If you’re interested in learn more about some of the top paralegal jobs be sure to read more on our blog. The Paralegal field continues to grow with an expected 18% increase in Paralegal jobs by 2020. This means that skilled Paralegals are in high demand and will continue to be for the next several years. There are steps you can take to pursue a Paralegal job, including earning a Paralegal degree and obtaining relevant work experience. Throughout the life of a typical American, many important decisions must be made. One of these big decisions involves what type of career to pursue. With so many options in the modern era, it can be difficult to choose which type of career is best for you. If you are someone who enjoys problem-solving, intellectual challenges, and financial security, a career in legal studies may be perfect for you! Skilled Paralegals are in high-demand as attorneys look for ways to reduce their ever-increasing workloads. According to the Bureau of Labor Statistics, the number of Paralegal jobs is expected to increase 18% between 2010 and 2020. If you’re considering a Paralegal career, it’s best to learn as much as possible about the profession beforehand. According to the Bureau of Labor Statistics, the number of Paralegal careers is expected to grow 17% from 2012 to 2022, so there is no better time to pursue a Paralegal career. Choosing the right Paralegal school is important for those who are interested in becoming a Paralegal. Most employers prefer graduates of ABA-approved Paralegal programs and are more likely to choose candidates who attended a Paralegal School that is approved by The American Bar Association. There are several other factors that make a good Paralegal program, including experienced instructors and career placement assistance. If you are considering a Paralegal career but aren’t sure if it’s the right choice for you, it’s a good idea to find out common qualities that a Paralegal should possess before making a decision. Learn about some of the tasks involved with being a Paralegal and common traits of successful Paralegals. There are many reasons why a Paralegal career is an excellent choice. A Paralegal job provides an opportunity to work in the legal field without spending several years in law school. In addition, Paralegal jobs continue to grow at a steady rate while other fields are experiencing a decline. 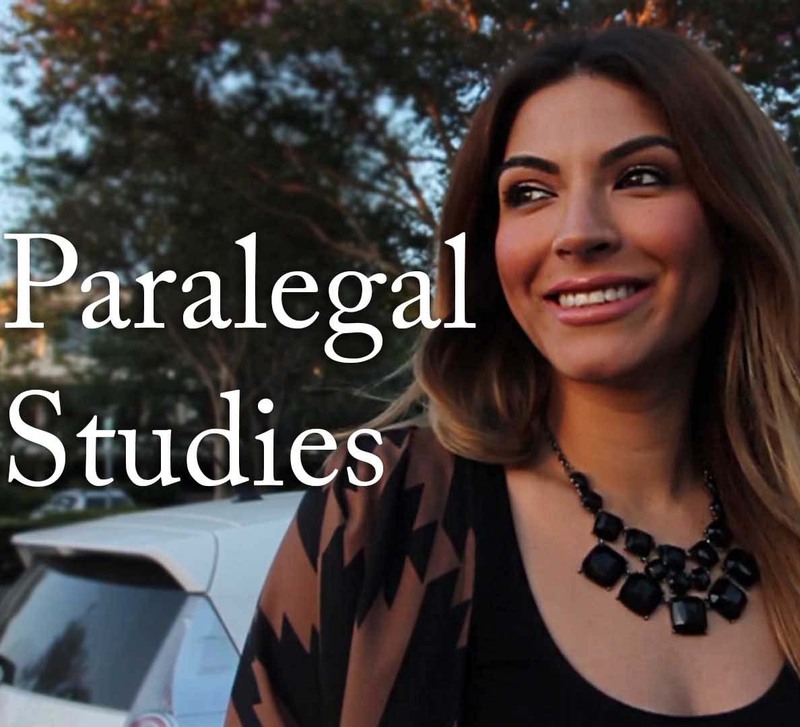 For those interested in law, a paralegal career is a rewarding and exciting option. Before you can begin a paralegal career, however, you must receive training at a paralegal school. Although there are numerous paralegal schools to choose from, not all are created equal. Before you decide on a paralegal program, consider if the school will provide you with the tools you need to ensure success after graduation. If you’re looking for a career as a paralegal, finding the right paralegal school can be challenging. Not only should you be looking for a top ranked education, you should also look for a program that is most likely to ensure job placement after completion. While there are many things to consider when looking into a paralegal program, few aspects are as critical as finding a school that is approved by the American Bar Association (ABA). If you are interested in law, but don’t want to spend several years in school, consider a Paralegal career. Skilled Paralegals who possess an ABA-approved Paralegal degree are in high demand in the legal industry because lawyers are in need of someone who can take on part of their ever-expanding workload. There are many different career options within the Paralegal field, including Law Clerk, Immigration Paralegal, Litigation Support Analyst, and other exciting options. Litigation Paralegals provide valuable assistance to attorneys during the litigation process and are a vital part of the trial team. They are responsible for coordinating the tasks that must be accomplished before, during and after trial. Get an overview of the major duties and responsibilities of the Litigation Paralegal from investigation to appeal. When screening potential employees, legal firms look for prior legal work experience in addition to an education in legal studies. The best way to gain real work experience and get your foot in the door is through internships. Internships provide the opportunity to gain valuable skills and experience working in a firm so you can be the best candidate for your future job. As a paralegal looking for work, you can build a great resume and sift through all the job ads to target the best career opportunities. However, there will still be a plethora of opportunities out there – the ones law firms don’t advertise on online job boards or anywhere else – that you won’t have access to. For those jobs, you need a specialized legal recruiter with an inside track on the industry and with contacts they are willing to share with you. You pay college tuition, you attend class everyday, you take extensive notes on your professors’ lectures, and you pull all-nighters to ace that test… but do ever find yourself asking, “What am I going to do once I get my degree? What kind of career will it get me?” With the job market as tough as it is today, these are legitimate questions to ponder. There are some areas, however, that have opened up more positions in the last few years; one of these positions is that of a paralegal. In an economy where many industries are downsizing, the paralegal field is breaking the mold and continues to grow. With tens of thousands of lawyers in Los Angeles, most of whom have between 3 or 4 paralegals each, demand for quality paralegals is high. At Fremont College, we want to make sure you’re prepared for work in the real-world. In addition, we want to help you decipher fact from fiction when it comes to the paralegal profession. What Makes a Good Paralegal? You’re interested in helping people. You like to keep up with current events. You’re a good listener, writer, and reader. Maybe you’ve already considered entering the field of law, but if not – you should. Read these characteristics of a great paralegal and find out what it takes to excel in the paralegal field. As a student, finding a paralegal internship can offer unlimited advantages and invaluable learning experiences that will push you ahead of the pack when graduation comes. An internship will look great on your resume, show your dedication, hone your skills, and expand your professional network. The firm may even hire you upon graduation if they have the resources and you’ve proven to be invaluable. The duties of a Paralegal continue to expand as workloads at law offices around the country increase. Once you earn your degree and obtain a paralegal job, you may find yourself taking on a wide variety of tasks. In the past, paralegals and legal assistants had a very limited set of tasks to perform on a daily basis. Now, paralegals are taking on more and more job responsibilities. Paralegals, also known as legal assistants, are in greater demand than ever before. They play a vital role in assisting lawyers in providing services to their clients and are an instrumental part of the legal process. Continue reading to learn more about the requirements of becoming a paralegal and how to begin your education for this quickly growing career field. Are you ready to launch your legal career? 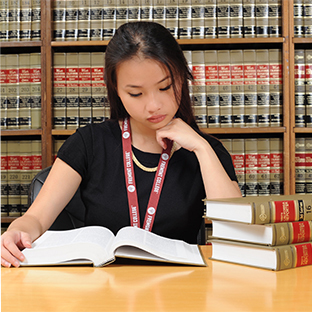 Let Fremont College jump-start your legal studies. 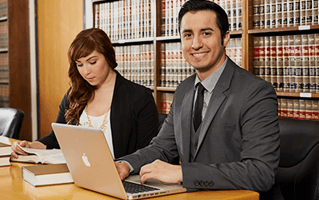 Fremont College of Legal Studies gives you the foundation for your legal future. When you’re ready to find law schools in Los Angeles, you’ll want to have a strong educational background of legal knowledge to help you get started. There are many different areas within the field of law that utilize the skills of a paralegal. The area of real estate law is no different. Like other specialized paralegals, those in the field of real estate law have extensive knowledge of the ins and outs of real estate. These professionals have specialized education and training that make them a valuable part of any real estate legal team.